ChefConf Chef has announced Automate, a new product which incorporates all its main DevOps tools into one bundle. The announcement was made at the company's ChefConf event currently under way in Austin, Texas. 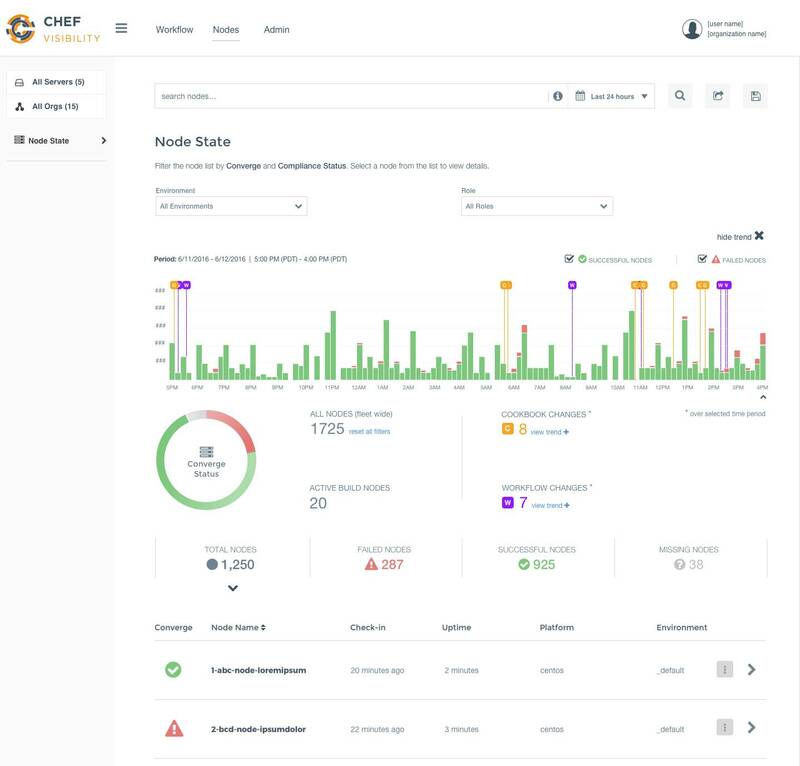 Chef Automate is essentially a bundle of several existing products – Chef, Chef Delivery, InSpec and Habitat – with integration of their status feeds in order to power a new dashboard. The core product, Chef, lets you automate infrastructure by coding its desired state and applying it to your physical, virtual or cloud-based resources. Chef Delivery adds workflow management to enable continuous delivery of applications. InSpec lets you manage policy and compliance, and Habitat, announced just a few weeks ago, lets you conbine infrastructure automation with your application code. "Prior to this the visibility around what’s happening with the state of your nodes would be managed by Chef, and marrying that up with InSpec policy, it was two disparate products. Now we have unified visibility. A good example is that you use Chef to configure the state of your machines including configuring SSH, and use InSpec to verify that the right version of SSH is in fact instantiated. If there is any deviation from either the state or the policy, you’re going to be notified through a unified dashboard," VP of Business Development Ken Cheney told the Reg. Cheney said that it was important to include Habitat, even though it is a newly introduced product. Chef, InSpec and Habitat are available as open source under the Apache 2 license, but some features are reserved for commercial users, and Chef Automate is only available commercially. However, combining the products will mean a saving for customers using them, said Cheney. "As a whole the price is actually lower than previously. The price point is $137 per node, list, of course there are volume discounts," he said.